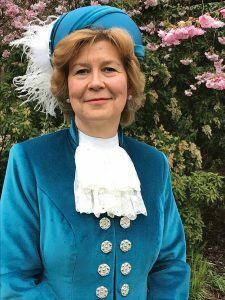 the Queen’s High Sheriff for West Sussex, responsible for supporting the judiciary, police, prison service and the Lord Lieutenant. Thankfully Davina will no longer have to raise taxes, protect the judges with her private army, or arrange elections, but she is looking forward to making a difference in people’s lives. Although she and her husband, Peter, have an adult son and daughter, and “five and a half” grandchildren, a key factor in her life and ministry has been the loss of two of her children as babies. Davina was sworn in on 22 March, in front of a High Court judge in Lewes, along with a new East Sussex High Sheriff, Mrs Violet Hancock. 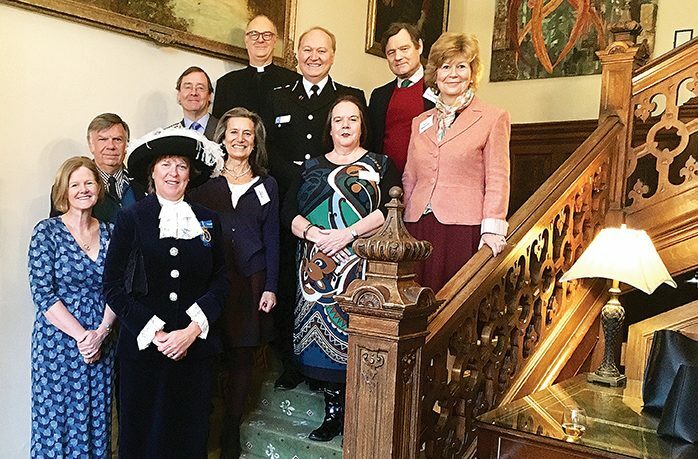 Although both her father and grandfather (who commanded the Royal Sussex Regiment) served as High Sheriff before Sussex was divided, she claims the invitation came as a total surprise. Davina, an English graduate, has chosen her husband, Peter, as her chaplain in her new role. Together they served parishes in Huddersfield, Southampton, Brighton and latterly in Worthing. Since Peter’s retirement, they are learning how to run the family farm at Handcross, mid-Sussex.